Commercial nurseries and planting centers use large volumes of potting mixes containing either bark-based or peat moss-based materials. The cost of these materials has risen in recent years, reducing profitability for growers. Scientists in the Mississippi Agricultural and Forestry Experiment recently developed a new substance to use as potting mix or substrate that is relatively inexpensive, available in an abundant quantity, and has little to no environmental impact. Biochar is a by-product of biofuels and can be used as the sole component or major component to grow container plants. Unlike other alternative potting mixes, biochar does not need soil amendments and it does not shrink during the plant production process. Biochar works well as a potting mix for container plants, seeds, cuttings, or transplants. It can be used as a substitute for perlite, vermiculite, wood chips, and/or pine bark (among many other things), which are typically added to peat moss to improve its physical properties including water drainage and aeration. The superheated process of making biochar kills pathogens, weed seeds, insects, and other organisms harmful to plants. Scientists successfully grew chrysanthemums, tomatoes, lettuce, and basil in mixes of pine bark and biochar, a frequently used potting mix and biochar, and biochar alone. The research found that biochar worked exceptionally well as a potting mix substitute. 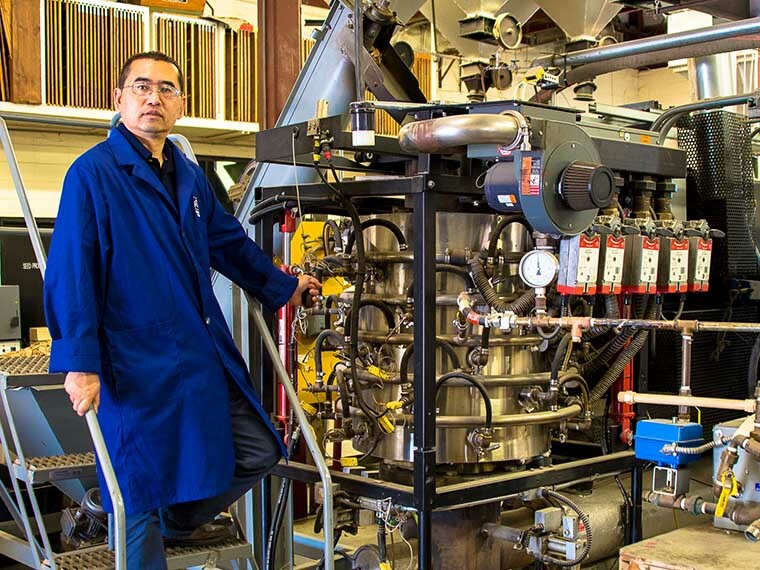 Scientists recently received a patent for biochar.